Affiliate marketing is a continually growing internet industry, but as with any other thriving industry, plenty of myths persist. 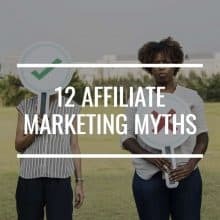 In today’s blog post, we’re going to look at 12 affiliate marketing myths that you need to stop believing so you can do affiliate marketing the right way. Affiliate marketing is one of the most profitable online industries that you can get into and one of the most favored by entrepreneurs who want to start their online business. Because affiliate marketing is so popular, and because more and more people are becoming affiliate marketers, numerous blog posts and articles written about it are circulating the internet. The problem is that not everyone who has written these articles are knowledgeable and credible enough to even give advice. When you’re only just starting, it can be difficult to tell which advice is based on truth and which advice is based on false information. Worse, some affiliate marketers post misleading information on purpose to sabotage possible competitors. In today’s blog post, I’m going to go through 12 affiliate marketing myths so you can tell fact from fiction. Myth 1: Affiliate marketing is easy. Myth 2: Automating affiliate marketing is a good idea. Myth 3: Affiliate marketing is too competitive. Myth 4: Affiliate links are bad for SEO. Myth 5: Only the lucky ones thrive in affiliate marketing. Myth 6: Traffic equals profit. Myth 7: Social media popularity equals affiliate marketing success. Myth 8: You need a business degree to be a successful affiliate marketer. Myth 9: Technical skills are a must. Myth 10: Your profits from affiliate marketing is dependent on which country you’re based in. Myth 11: Affiliate marketing requires serious cash to get started. Myth 12: Affiliate marketing is a get-rich-quick scheme. Affiliate marketing is more than just grabbing affiliate links from affiliate programs and posting these links on social media sites, video sites, and your blog. The more difficult task is to convince your followers and readers to click on those links and follow through with an actual purchase. This means investing time and effort learning about keyword research and SEO, creating compelling content, email marketing, social media marketing, and other ways to alert potential buyers to what you’re offering, convince them that it’s right for them, and urge them to click on your affiliate links. Plus, if you plan to stay in business for a while, you’ll have to do all this, day in and day out; not to mention keeping on top of the trends in affiliate marketing and getting ahead of your competitors. Fact: It takes time, effort, and resources to maintain a thriving affiliate marketing business. Automation can save you some time and remove the tedium from boring or annoying tasks. For instance, you can send out an email series pitching your product to your email list. Or you can schedule your social media posts so that you can compose them in advance and then post them at pre-determined times. But you can’t automate everything. Critical aspects of affiliate marketing, such as creating high-quality content, engaging with your followers, and building relationships with your readers can never be automated. Attempting to automate these tasks can only succeed in removing you from your own business and make it difficult for your visitors to connect with you and trust you. Use automation to your benefit. Automate tasks that don’t need a human element to free up time for those tasks that need your personal touch. Fact: A fully automated affiliate marketing business destroys engagement and trust. As I’ve mentioned, affiliate marketing is a growing industry, and as such, there’s bound to be many other online entrepreneurs who want in on the action. Some people assume that the level of competition is too much to overcome and make a profit. But competition actually means that there’s plenty of money to be made in the industry. You can either niche down to decrease your direct competitors or be the best affiliate marketer and squeeze out all the other affiliate marketers who aren’t good enough. Fact: Competition in affiliate marketing means plenty of potential income to be earned. Considering Google has changed their algorithms in the last few years, it’s understandable to want to get in their good graces such that they display your content in their search engine results pages. Affiliate links may be considered paid links, and placing them on your website may be considered a violation of Google’s link scheme policies and your website may be penalized. However, you can prevent Google from penalizing your site, you can take steps to prevent these links from being crawled by search engine bots. For instance, you can add a rel=”nofollow” attribute to the <a> html tag of your affiliate link. You can also cloak your affiliate links using plugins so that they aren’t detected by search engine bots as paid links. Fact: Affiliate links need not violate search engine link guidelines. Maybe affiliates can strike it rich a few times. They may happen to stumble upon the right keywords, the right traffic source, or the right affiliate product., and it may seem like dumb luck. Maybe they had one of these in your pocket? 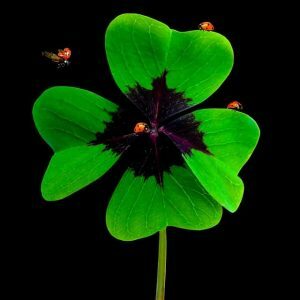 But what may seem like luck to you is actually hard work, skills, and good timing. What actually makes an affiliate marketer successful is how hard they work to perfect their craft. This involves constant research, testing, tweaking, and optimization of marketing and promotion techniques. If there’s one thing about affiliate marketing that’s true, it’s that nothing is guaranteed. You make your own luck in this business, and the more hardworking you are, the more lucky breaks you’re going to have. Fact: In affiliate marketing, hard work and skill trumps luck. Beginners in affiliate marketing usually prioritize directing traffic to their websites. That’s not necessarily wrong, but the quality of the traffic is more important than the quantity. Remember that by the time your visitors reach your website, your visitors’ interest may change or wane. They’ll only convert when they’re convinced that what you have to offer is worth their time. When you do your customer research exceptionally well, the traffic that you attract to your website is targeted traffic, which have a higher probability of converting than just random traffic to your website. Bottom line is that a high volume of traffic means nothing if they don’t convert into purchases. Aside from content marketing, you’re probably utilizing social media marketing to promote your affiliate links as well. And if you’re on social media often, there might come a time when your popularity rises. You might think that it’s enough to be popular to get your followers to convert, but it doesn’t work that way. Most customers are smart enough to know that the quality of the product you’re promoting is more important than the popularity of the person endorsing it. You can still use your popularity to strengthen relationships with your social media followers and build your credibility. Fact: Social media fame doesn’t automatically mean affiliate marketing success. The phrase “affiliate marketing” could be intimidating to non-marketers and beginners who have no experience in this field. You might think that you need a business degree to be a legitimate affiliate marketer. But affiliate marketing is a field where hard work and persistence are more important than a degree. The most successful ones are willing to continually learn and apply what they’ve learned to their affiliate marketing strategy. They are the ones who constantly evaluate, tweak, and test their affiliate marketing strategy so it’s always updated and geared for success. While a degree, especially a business degree can give you an advantage, it isn’t strictly necessary. All the training you need on affiliate marketing is available online. Plus, the more you do it, the better you get at it. Everyone can study to be a marketer, but not everyone can do it successfully. Fact: Anyone who is willing to learn, persistent, and motivated to succeed can do affiliate marketing, no matter their educational qualifications. Many people are under the impression that you need to be a programmer or have mad technical skills to be an affiliate marketer. This may be true a decade ago, but nowadays, even a basic knowledge of HTML and CSS will get you through creating a website, email marketing, and even building landing pages. You’ll also need to be able to interpret analytics software so you can keep track of your affiliate links; if anyone’s clicking, where are they clicking from, how many clicks turn into actual purchases, etc. Today’s analytics tools are more beginner-friendly than ever. 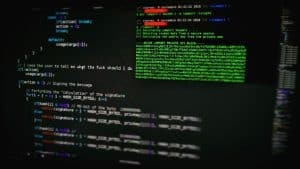 If all else fails, you can outsource tasks that need more extensive coding than you currently know, or if you need to tweak more complicated settings on your tracking software, or if you just want to make sure that you don’t make mistakes even with basic maintenance tasks on your website and tracking software. Fact: Basic internet knowledge and skills are enough to become an affiliate marketer. Some affiliate marketers restrict themselves to their home country when doing affiliate marketing. They only promote local products to local visitors of their websites and local followers of their social media. Their rationale is that market research is easier since you’re limited to local businesses. You can find out more information about your competition and anticipate your visitors’ behavior more accurately when you focus on your home country. However, affiliate marketing is a mostly internet-based activity, which means it’s an endeavor you should be able to do from anywhere in the world. You should be able to promote an affiliate product in any country that shows a clear demand for what you have to offer, provided you don’t violate any terms and conditions of the affiliate programs you’re enrolled in. Other affiliate marketers think that they have to be in a high-income country (e.g., US, Canada, UK, Australia, etc.) or target high-income audiences to make any money from affiliate marketing. While it might be true that promoting products to an audience with more disposable income has greater potential income, there’s no reason to ignore lower-income audiences or countries. As long as the products you’re pitching are valuable to your audience and solve pertinent problems, people will buy what you’re selling. Fact: You can make affiliate marketing work no matter what country you’re in. Some unscrupulous, so-called “gurus” push affiliate marketing courses or “blueprints” that cost thousands of dollars and make inexperienced, rookie affiliate marketers believe that their courses are the only way to get into affiliate marketing. 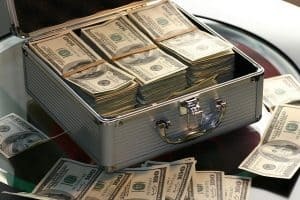 This is how newbie affiliate marketers come to believe that they need thousands of dollars before they even start, when in reality, these scammy programs don’t offer anything that you can’t find elsewhere on the internet and learn for free. Be careful when being offered that sounds too good to be true; it probably is. A better approach to affiliate marketing is to use Google, entrepreneur forums, and social media to find free lessons and courses on affiliate marketing, as well as various marketing and promotional strategies to help you market products and services to your target audience. I assure you that there are plenty of free courses and tips on affiliate marketing online. When you feel that you have enough knowledge and confidence to dive in, make sure that you have enough cash to buy your own domain name and subscribe to a hosting service. This is the minimum amount of investment that you should be able to pour into your business. Once you have your website, you can start creating content for your website and searching for affiliate programs and affiliate networks you can possibly join. There are plenty of free tools available to help you create high-quality content, as well as sell and promote affiliate products, if you know where to look. As your affiliate marketing business grows, you can gradually upgrade to using paid marketing tools that are likely to give you better results and help you grow your business even further. But as I’ve mentioned, you don’t need much money to start. Fact: All you need to start affiliate marketing are a computer, an internet connection, and just enough money to build your website. This myth is probably the most damaging to the reputation of affiliate marketing as a legitimate industry. What happens is that fledgling affiliate marketers go into the industry with unreasonable expectations as to how soon they can start earning money, as well as how much money they can earn. When these expectations are not met, that is, they don’t earn as much as they hoped, as quickly as they wanted, they give up on affiliate marketing completely and spread the word that affiliate marketing is a scam. The truth is that affiliate marketing is time-consuming and labor-intensive. There are no shortcuts to earning a 5-digit monthly income from affiliate marketing. 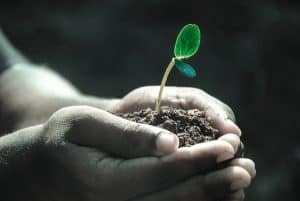 Think of your business as a plant; it needs sun, water, soil, and nutrients, and even then it takes some time to grow and bloom. Considering all you need to accomplish—selecting the right affiliate programs, creating high-quality content, promoting your affiliate links through social media and email, building solid relationships with your audience—you can’t reasonably expect for success to happen overnight. It’s going to take at least a few months to a year to start earning even a small yet consistent income from affiliate marketing. Some affiliate marketers are luckier than others. 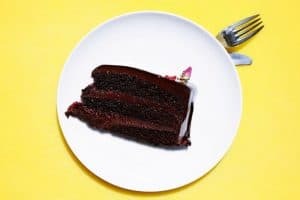 On their first try, they get into the right niche, they choose the right products to promote, their content attracts plenty of traffic, their social media or email marketing techniques work, and they have a healthy relationship with their audience. These are the marketers who earn income in the first few months. Others aren’t so lucky. They make mistakes and they fail. They are either able to correct their mistakes and go on to earn income from their business, or they have to abandon it and start from scratch. Again, this takes time and persistence to build a new website and start again. Bottom line is, there’s nothing “quick” about earning income from affiliate marketing. Fact: Earning a living from affiliate marketing takes time, hard work, and commitment. Done right, affiliate marketing can earn you a steady income, maybe even a full-time one. But some affiliate marketing myths endure that either discourage rookies or sabotage otherwise successful affiliate marketers. I hope that raising awareness about these myths help stop them from persisting and spreading. Here again are the affiliate marketing myths that can derail your success. Fact 1: It takes time, effort, and resources to maintain a thriving affiliate marketing business. Fact 2: A fully automated affiliate marketing business destroys engagement and trust. Fact 3: Competition in affiliate marketing means plenty of potential income to be earned. Fact 4: Affiliate links need not violate search engine link guidelines. Fact 5: In affiliate marketing, hard work and skill trumps luck. Fact 6: Conversions equals profit. Fact 7: Social media fame doesn’t automatically mean affiliate marketing success. Fact 8: Anyone who is willing to learn, persistent, and motivated to succeed can do affiliate marketing, no matter their educational qualifications. Fact 9: Basic internet knowledge and skills are enough to become an affiliate marketer. Fact 10: You can make affiliate marketing work no matter what country you’re in. Fact 11: All you need to start affiliate marketing are a computer, an internet connection, and just enough money to build your website. Fact 12: Earning a living from affiliate marketing takes time, hard work, and commitment. Have you believed any of these myths? Do you think there are any myths I might have missed? Sound out in the comments!